There are different lamination processes, depending on the type of material to be laminated. The materials used in laminates can be the same or different, depending on the processes and the object to be laminated. An example of the type of laminate using different materials would be the application of a layer of PVC the “laminate”—on either side of a sheet of paper—the laminated subject. The lamination services that Celsur offer deal predominantly in either heat seal or cold seal lamination. A varied material finish is also available in our lamination services UK pouches, incorporating gloss/matt/hi-co magnetic stripe and barcode obscuration panel versions. 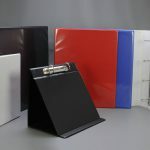 Cold seal lamination does not require the use of machinery to seal the pouch, a clear front panel is backed with a self adhesive panel, your insert is then placed within the panels, the adhesive release sheet is removed and then manually pressed down over the insert to create a seal, in regards to heat seal the major difference is no adhesive is involved as the material used is heat sensitive, so your insert is placed between the panels and passed through a thermal lamination machine which heats the pouch causing the panels to bond together creating the seal. Once sealed both the cold seal and heat seal versions provide a secure environment for your insert that prevents tampering as well as reducing degeneration if your insert is handled on a regular basis i.e. a menu in a restaurant. A simple but effect method that lamination services UK offer.